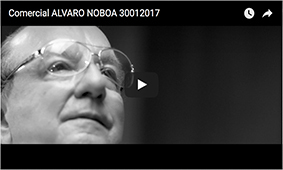 Alvaro Noboa published in his social networks a video in which he presents a proposal that generated hundreds of reactions among users. “Since the next President will not have support in the National Assembly, and our party (AEA) will be a majority, we will request the resignation of the Head of State. And once a constitution reform had been made, I, Alvaro Noboa, will be appointed as President,” the hopeful stated in the video.